Divergent views and opinions exist on the worship of Lord Hanuman who is considered to be a bachelor. Some opine that fervent worship of Lord Hanuman at home cause the married to remain detached from family life, and those who are unmarried will continue to remain a bachelor. There is a prevalent belief that the right to worship Lord Hanuman is exclusively restricted to the bachelors. This is not true. Such views are restricted to only ‘Vigraha Aradhana’ meaning idol worship at home made of stones, marbles and metals of several kinds and not for worshiping the picture of Lord Hanuman hung in Pooja hall. All such negative notions are gross misconception borne out of false beliefs and ignorance without any foundation. Most of such general opinions are self-generated thoughts about something ill perceived. Nothing esoteric about that since no texts in Puranic or Vedic scripts mention so, and therefore it is important to ignore them as someone’s personal opinion and meant for those idol worshipers at home. At the same time undoubtedly there exist restrictions on worshiping the divine pictures hung on pooja hall. 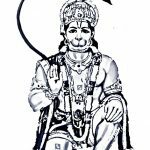 Before the significance of tail worship of Lord Hanuman is explained, it is necessary to know the general worship pattern the pundits advice. There exist several restrictions on worship of even the pictures of fierce, wrathful divines, ferocious looking divines and Saktha and Tantric divines, divines in battle ground and divines adoring necklace of skull, skirt of arms, lolling tongue, and brandishing a knife dripping with blood at home all of who if improperly worshiped can bring negative results even though they will still bless you with all goodness if worshiped by following certain rituals needed to appease those divines. At the same time the same divines in calm posture can be worshiped in our Pooja hall. To cite a few ferocious and fearful divines, one can mention Goddess Kali annihilating demon, Lord Hayagreeva in ferocious form, Goddess Mahishasuramardini annihilating a demon, Goddess Prathyangira, Lord Kalabairavar, Lord Shiva in sanyasi form etc etc. They are categorized as Ugraha Devathas meaning divine in anger. Because we work with the darkest internal and external forces, unguided practice of worship or Pooja performed at home for such Ugraha Devathas could be considered dangerous and is actively discouraged. All the above relates to both Idol worship and worship of divine pictures hung on hall. 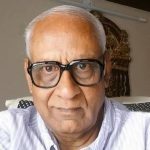 The pundits say even worshiping Panchamuga Hanuman at home without proper rituals will bring negative results and be avoided while the tail worship of calm postured Lord Hanuman is certainly permitted, significance of which is explained in later paras. 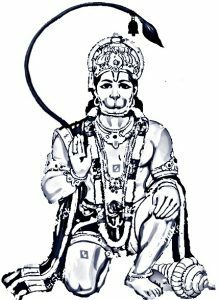 Hanuman assumed his Panchamukha form to kill a powerful rakshasa called Mahi Ravana who was a black-magician and practitioner of the dark arts and therefore the posture comes under the war lord category. In order to calm down the anger of such divines even other divines and celestial used to perform special Yagna and Poojas. Therefore if anyone keep the Idol or pictures of Ugraha devathas (divines) in their Pooja hall for worship, then certain rituals and Poojas meant for each of such divines need to be performed and followed which may not be easy for the one in the family life to adhere to. If the specific rituals and mode of prayer prescribed to appease such divines are not practiced, then one will certainly face several havoc and hurdles in life. This is the reason why the pictures of divines in ugraha postures are advised to be avoided for worship at home. Against this backdrop, the significance of ‘Tail worship’ of Lord Hanuman gains importance because the tail of Lord Hanuman is insulated with several powers gained from several divines, specially the tail end. The tail Pooja or tail worship of Lord Hanuman is far different from other Poojas or rituals. 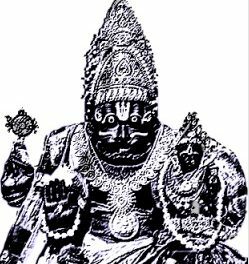 Hanuman, in one interpretation is claimed to be the incarnation or reflection of Lord Shiva while some claim him to be the incarnation of Lord Vishnu. Others claim him to be the son of Lord Vayu, the god of wind. Most of the narrations on Lord Hanuman is derived from puranic scripts like Vishnu Purana and Narad Purana. There is a puranic story on the manifestation of Lord Hanuman. Once Lord Vishnu received a curse from sage Narad Muni when Narad Muni’s face was discreetly changed to that of a Monkey for the sake of joke by Lord Vishnu. Unaware of the changed face when Narad Muni went to a function, he was ridiculed by those present there and he became low spirited in front of the audience. Humiliated Narad Muni cursed Lord Vishnu in anger that the Lord would have to depend upon a monkey to save his life in one of his births. All acts of divine are per-scripted to certain plan and therefore when Lord Vishnu had to manifest as Lord Ram, Lord Hanuman too manifested as Monkey God. During Ramayana war, Lord Brahma gave Lord Hanuman the power to induce fear to those opposing him and to transform into any form, Lord Shiva gave him a shield which would protect him for life, longevity and power to cross ocean or any other places like mountains and ocean at ease. Lord Indira gave the powerful weapon called Vajrayuda while Lord Varuna assured that Lord Hanuman will not face any threat from water in any manner. When Lord Hanuman’s tail was set on fire by the demonic forces of King Ravan, Lord Agni intervened and freed Lord Hanuman from pain due to fire and bestowed special powers to stretch or shrink the tail to any length and also hold any amount of weight by his tail. Similarly Lord Hanuman received several boons from divines like Lord Kuber, Lord Surya, and Lord Yama and from Goddess Sita as well, all of which made Lord Hanuman literally invincible and unconquerable in the form of Lord Hanuman. The Navagrahas too went and stayed inside his tail to ensure that no malefic effects will befall on Lord Hanuman. Thus Lord Hanuman’s tail was insulated with all the powers given by various divine forces and became the most powerful organ in his body assuming great significance in worship. Lord Hanuman mainly manifested to help Lord Ram in war. Prior to Ramayana, one would have hardly heard about Lord Hanuman. His importance, strength and the power he possessed came to light only during the war. After the war ended, when Lord Ram revealed his plan to exit, Lord Hanuman requested that he be allowed to remain on earth as long as Rama’s name was venerated by people as he desired to hear people chanting the name of Lord Rama. Elated by the request, Lord Rama granted his wish and said that he could sit in calm and composed form of meditation in several temples so that he could silently listen and enjoy people chanting his (Lord Rama) name. 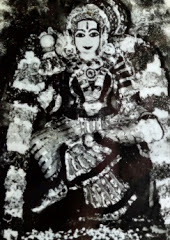 As per a folk tale, Lord Mahavishnu who was in disguise as Lord Ram till then, appeared before him in true form and advised him to transfer all his powers into a small bell and tie it to his tail end so that those who seek favors from Lord Hanuman could ring the bell tied on his tail and pray him. The sound of bell will be so melodious that it will match to the chanting of Lord Rama’s name and will not disturb Lord Hanuman. 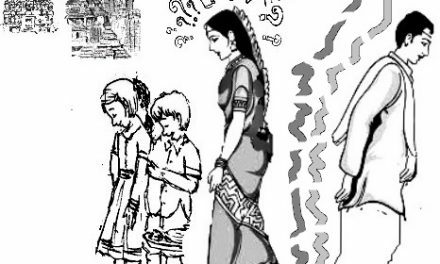 Perhaps the ringing the bell in a temple to invoke the blessings of God began only based on this story since prior to this incident none of the Purana texts mentions that any kind of bell has been used seeking favors from divines. Further Lord Vishnu advised that those who worshiped Lord Hanuman’s tail following certain rituals and sought certain favor, at the end of their worship, when they ring the bell on his tail, Lord Hanuman should open his eyes and grant them the boon desired and relieve them from the malefic effects out of curses and other evil acts. This is the prime reason why the pundits advice one to keep only the composed posture of Hanuman, with bell tied to his tail end – whatever be the pose, some of which are Lord Hanuman flying in air lifting Sanjeevi mountain, seated before Lord Ram or offering prayers to Lord Shiva or seated in tapas before Shiva Ling etc, but caution Panchamuga Hanuman be avoided as the posture is that of war God and need to be carefully prayed with certain rituals. One can worship Lord Hanuman to get rid of evil forces haunting them, get their genuine prayers answered by daily putting a dot with Sindoor paste on his tail for specific period. Generally putting a dot with Sindoor paste at the end of the tail everyday will also bring prosperity in many ways. 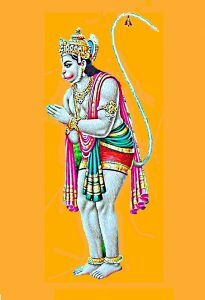 Since the entire strength and several divine powers are insulated in the tail of Lord Hanuman the practice of tail worship of Lord Hanuman began. Why put a Sindoor dot on the tail every day? As explained earlier, the special powers of several divines lay insulated in his tail, one after the other in a row, and each day when you apply Sindoor, you are actually worshiping those divines present there to relieve your problems through Lord Hanuman and at the end when you apply Sindoor to the tail end, the entire malefic effects accrued on account of curses, jealousy, evil eyes and black magic like acts thrown on you by others gets burned by the fire power of Lord Agni present at the tail end.The other most significance of the tail pooja is that crores of Rama Japa silently being continuously chanted by Lord Hanuman keeps on sending power rays of the mantra to his tail and therefore as you daily place a dot on the tail, the power rays of the Rama Japa mantra enters into your body and cleanses all dirtiness in your mind and body thereby slowly pushing your mind and body into the world of peace. This is the greatest importance of worshiping Lord Hanuman by performing tail pooja. In order to get specific prayer answered, one can observe 48 days prayer. Some suggest the period as 45 days prayer. Whatever it is, when some one desire to perform tail worship follow these. 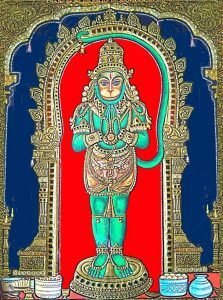 After morning ablutions and bath, stand before Lord Hanuman and chant the following Hanuman Gayathri Mantra ten times. 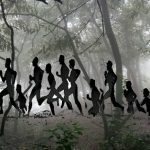 The Mantra is to be pronounced in such a way that although there is a slight movement of lips, larynx and tongue, it should be inaudible to others except the worshiper. After chanting the mantra, put a dot on his tail base with Sindoor paste. Sindoor does not mean sandal or Kumkum that women apply to their forehead. It is vermilion and bright orange in color sold in the shops as Sindoor paste, specific to Lord Hanuman. At the end of 48 or 45 days, prostrate before him requesting him to relieve your specific problem for which you started the prayer and plead to the Lord to answer your prayer positively. This is a 48 or 45 days simple ritual one can follow. Even before the end of the 48 or 45 days, if putting the dots has reached the tail end, do not feel worried. Continue to put the dots on the tail itself- dot over dot- for the remaining days till the period of penance gets over. Finally after placing the last Sindoor dot at the tail end, do not fail to put the Sindoor on the bell tied to the tail. By doing this you are awakening the meditating Lord to bless you and answer your prayer positively. It is preferable to begin the Tail Pooja either on a Tuesday or on Saturday. During the mensural periods of the ladies, if continuity of putting dot becomes the problem, someone else in the family can continue to do it during the period of their absence. However on 48th or 45th day, it is necessary that the one who began the prayer should only end it by themselves. 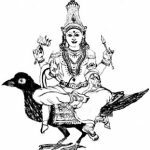 Therefore the ladies are advised to begin the Tail Pooja in such a manner that they are available without mensural problem to conclude it on the 48th or 45th day. 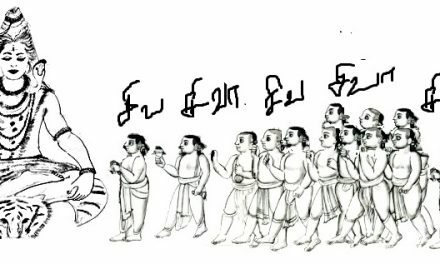 As proper picture of Lord Hanuman to perform tail worship is not freely available, I have reproduced pictures which can be got printed from studio and used for tail pooja .